GeekVape Griffin RTA Base is a spare part for Griffin RTA. It includes Velocity deck, juice flow control ring and airflow slot. 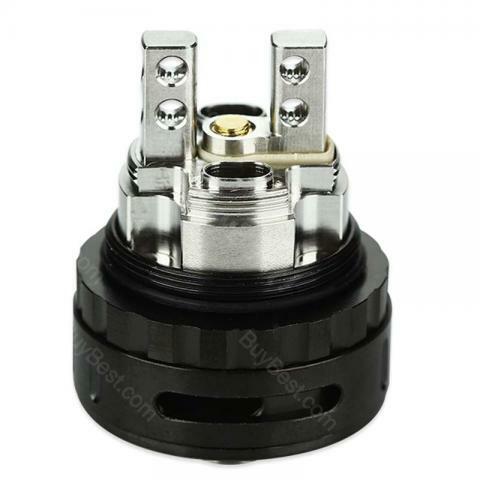 GeekVape Griffin RTA Base - Black, is a spare part for Griffin RTA Tank. Black color. It includes Velocity deck, juice flow control ring and airflow slot. Black and SS colors. • It can only be used with GeekVape Griffin RTA Tank - 3.5ml. • Attention: The base doesn't include screws or wick ring. Everything is fine!!! All as in the descriptions. The test for originality has passed!!! I can not check (no batteries, cotton wool, cools) i will write later. And so everything pulls on hurray! GeekVape Griffin RTA Base with a Velocity deck, juice flow control ring and airflow slot.